An instructive story for anyone who lives near the ocean or beachcombs on a vacation. For comparison, see also this old story. Perhaps second only to lighting, proper composition is essential to photography. This is as nice an example as I've seen. 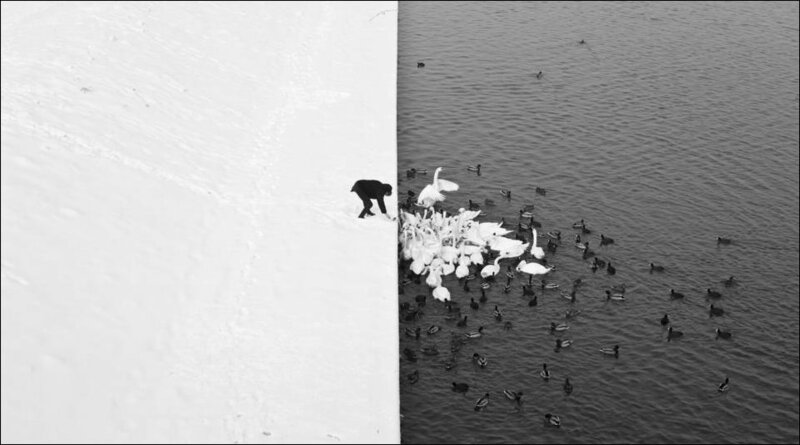 The image depicts a winter scene in Krakow. The photographer is Marcin Ryczek. The SKY-02 small attack UAV uses a rear engine and wing integrated delta wing layout. 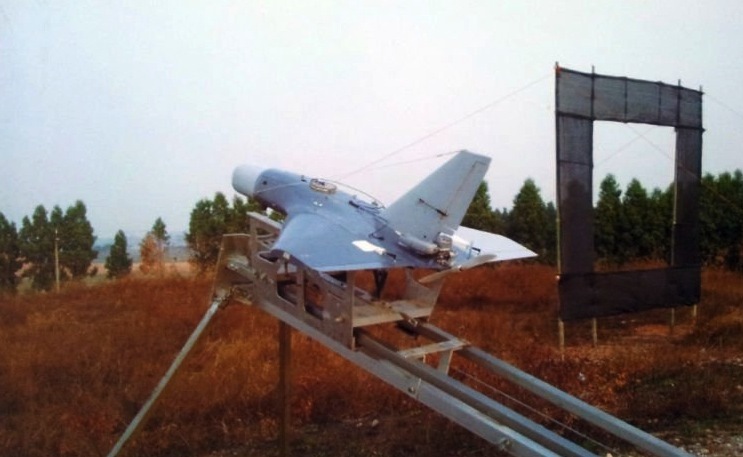 The fuselage uses composite materials and the head is equipped with the image guided and payload. Once the ground finds and identifies the target, UAV immediately goes into the attack status: ball tripod head freely rotates to guide the UAV attacking targets. Engine uses mechanical and electronic three grades insurance with high security. The UAV is mainly used in the mountains, hills and complex terrain conditions; does effective short-range real-time attack to the fixed ground target or slowly move targets, such as artillery hole, command post, communication station, radar station, oil truck, oil depot and other small and temporary goals. Small attack UAV is characterized with small size, light weight, convenient carrying, rapid outfield expansion procedure, easy operation and maintenance; the system only needs 2-3 operators to operate, can be carried by surveillance personnel to complete the attack mission. Via Boing Boing. The quoted price is only $1,000-2,000, but it's not clear if that includes the ground-based guidance system. These will be essential when our government tries to attack you to take away your freedoms, because our government has armored vehicles and RPGs, and you don't (probably...). Get several of these now, before Obama tries to ban them. 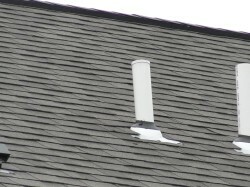 These vents through the roof are designed to prevent the S-trap under your sinks from being siphoned dry. When water is siphoned through the drain, the water in the trap gets siphoned. This can lead to sewer gas coming in to the home. In short, plumbing vents are there to help prevent sewer gas from coming in to the home. Text and image from my favorite home-repair/DIY blog in the StarTribune, which also has two videos illustrating the physics of plumbing vents. Only homeowners will find this of interest. 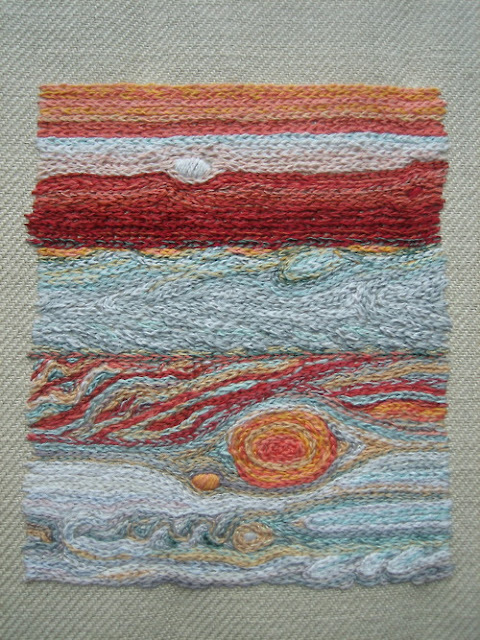 Crafted by Pardalote "loosely based on a series of photos by NASA showing the Great Red Spot devouring nearby little spots :-) Chain stitch in cotton, silk and specialty threads." ...Dolce & Gabbana have decided to launch a unisex perfume for the newborn in your life. Speaking about the company’s latest offering, which will go on sale later this year at the relatively modest sum of £28 for a 50ml bottle, the designer Stefano Gabbana said: “That familiar smell associated with babies will only be accentuated by this fragrance.” It will contain notes of citrus, melon and honey, all famously evocative of newborns, and will “pamper every little boy and girl”. The scent, which is alcohol-free, has been inspired by the “softness of baby skin” and the “freshness of baby breath”. Worse still, Dolce & Gabbana is not the only fashion house to dabble in this particular brand of ridiculousness. Bulgari’s Petits et Mamans perfume features Sicilian orange, bergamot and Brazilian rosewood. Hmm, the sweet smell of infants! At £35, Burberry’s Baby Touch will cost you significantly more than your weekly child benefit (if you’re still entitled to it), but it does promise “warm floral notes of cyclamen, orange blossom, lily of the valley and jasmine”. Each year high up in the Peruvian Andes, people celebrate the sacred condor in dozens of celebrations known as Yawar fiestas. These festivals are also threatening the last few hundred condors left in Peru because the birds are incorporated into bull fights in a fusion of Incan culture and Spanish colonial influence. Those who don't have 4:44 to spare to watch the video can skip to the 3:00 mark to see a condor tied on to the back of a bull. 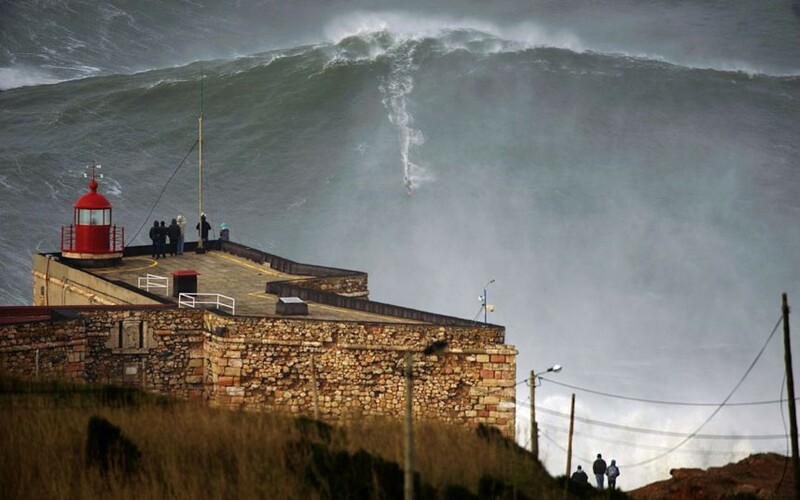 "The area of Portuguese coast is known for the enormous swells, with underwater canyon running right up to the shoreline cliffs, amplifying the waves that are created. The swells along the Praia do Norte are now known as creating some of the biggest surf in the world." “We’re focused on the help of the poorest in the world, which really drives you into vaccination. You can actually take a disease and get rid of it altogether, like we are doing with polio.” This has been done only once before in humans, with the eradication of smallpox in the 1970s. “Polio’s pretty special because once you get an eradication you no longer have to spend money on it; it’s just there as a gift for the rest of time.”..
For Gates, though, polio is a totem. The abolition of the disease will be a headline-grabber, spurring countries on to greater efforts. The Bill and Melinda Gates Foundation will spend $1.8 billion in the next six years to accomplish that goal, almost a third of the global effort. I'm a polio survivor, and I applaud his efforts. Also, I discovered last week that one of my former students is a program director at the Bill and Melinda Gates Foundation. This was the deal for a game of Spider. The game uses a double deck, so I think the chance of seeing 10 black cards on the layout is about 1/1650. 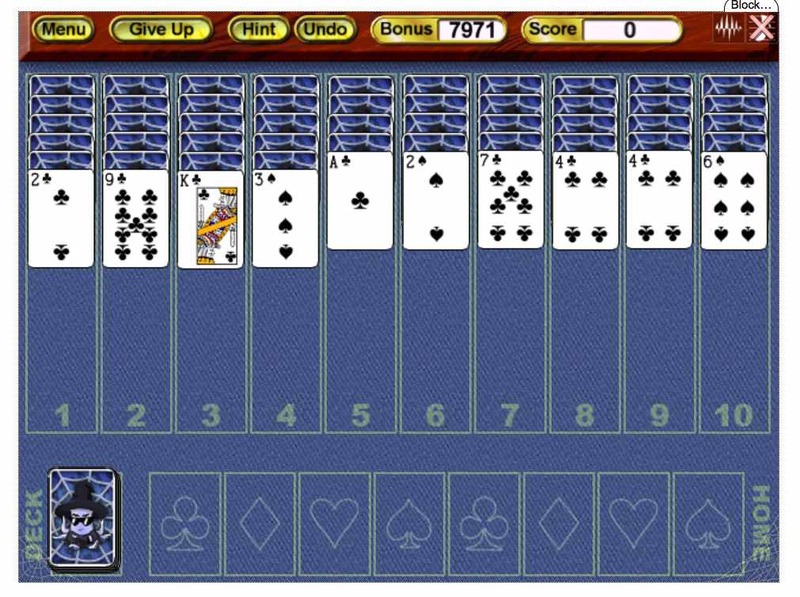 I waste too much time playing solitaire. The Walton specimen is the most elusive of the five 1913 Liberty Head nickels; for over 40 years, its whereabouts were unknown and it was believed to have been lost. George O. Walton, for whom the specimen is named, purchased it from Newman and Johnson in 1945 for approximately US$3,750, equal to $48,410 today. On March 9, 1962, Walton died in a car crash en route to a coin show. He had promised the show's promoters that he would exhibit the 1913 Liberty Head nickel there, so it was assumed to have been among the coins in his possession when he died. A quarter-million dollars worth of coins were recovered from the crash site, and among them was the 1913 Liberty nickel in a custom-made holder. However, when his heirs later submitted Walton's coins for a 1963 public auction, the nickel was returned because the auction house mistakenly thought it was not genuine. The coin remained in the possession of Walton's heirs, kept in a strongbox on the floor of a closet in his sister's home for over 40 years. It's now up for sale at Heritage Auctions, expected to go for several million dollars. 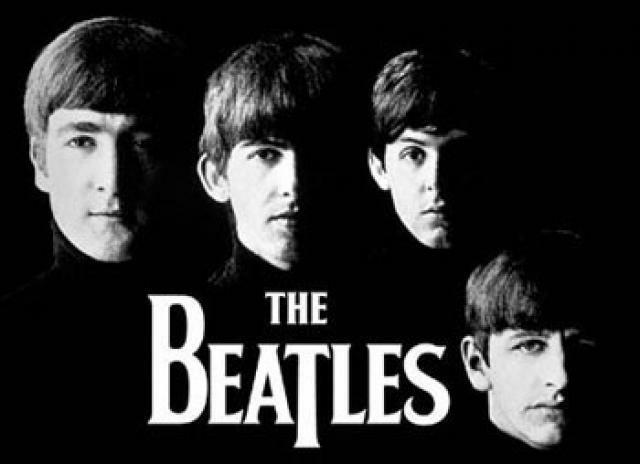 The photo is of a different one of the five known to exist. There were many such books in existence at the time of the Spanish conquest of Yucatán in the 16th century, but they were destroyed in bulk by the Conquistadors and priests soon after. In particular, all those in Yucatán were ordered destroyed by Bishop Diego de Landa in July of 1562. De Landa wrote: "We found a large number of books in these characters and, as they contained nothing in which were not to be seen as superstition and lies of the devil, we burned them all, which they (the Maya) regretted to an amazing degree, and which caused them much affliction." 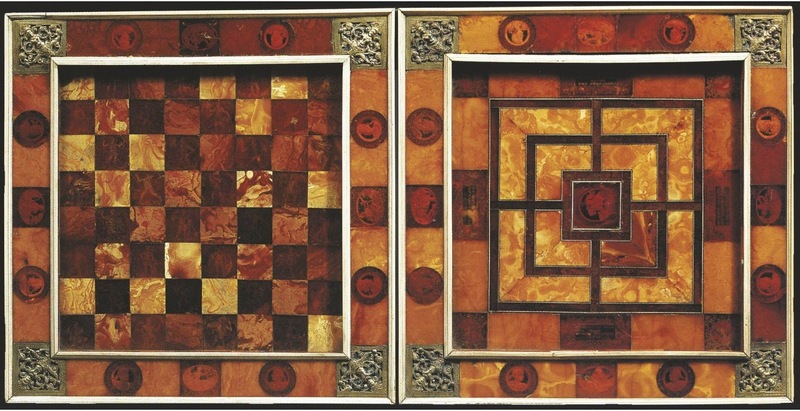 Such codices were primary written records of Maya civilization, together with the many inscriptions on stone monuments and stelae that survived. However, their range of subject matter in all likelihood embraced more topics than those recorded in stone and buildings, and was more like what is found on painted ceramics (the so-called 'ceramic codex'). Alonso de Zorita wrote that in 1540 he saw numerous such books in the Guatemalan highlands that “...recorded their history for more than eight hundred years back, and that were interpreted for me by very ancient Indians.” (Zorita 1963, 271-2). Fr. Bartolomé de las Casas lamented that when found, such books were destroyed: "These books were seen by our clergy, and even I saw part of those that were burned by the monks, apparently because they thought [they] might harm the Indians in matters concerning religion, since at that time they were at the beginning of their conversion." The last codices destroyed were those of Tayasal, Guatemala in 1697, the last city conquered in America. With their destruction, the opportunity for insight into some key areas of Maya life has been greatly diminished. “It’s the greatest loss of the written word in Africa since the destruction of the library of Alexandria,” Park said, referring to the great library of ancient Egypt. “It’s the destruction of information that was unknown and will now never be known.”.. Experts say the manuscripts included a wide array of court records and documents revealing international relations in the ancient world, giving them importance beyond Mali itself. The records may also have offered a window into the selling of slaves across the Sahara, shedding light on the roots of the trade. Many of them had not yet been read, Park said. That was confirmed too by Shamil Jeppie, director of the Timbuktu Manuscripts Project at the University of Cape Town, who told TIME on Monday night that “there were a few items in the Ahmed Baba library, but the rest were kept away.” The center, financed by the South African government as a favored project by then President Thabo Mbeki, who championed reviving Africa’s historical culture, housed state-of-the-art equipment to preserve and photograph hundreds of thousands of pages, some of which had gold illumination, astrological charts and sophisticated mathematical formulas. Around the world, “power projection” is, in fact, a central mission of American forces. Smith expressed alarm at the prospect of its diminishment. He asked a question, which was purely rhetorical: “What if, all of a sudden, we don’t have troops in Europe, we don’t have troops in Asia, we are just, frankly, like pretty much every other country in the world?”..
Not until the Second World War did the United States establish what would become a standing army. And even that didn’t happen without dissent. In May of 1941, Robert Taft, a Republican senator from Ohio, warned that America’s entry into the Second World War would mean, ultimately, that the United States “will have to maintain a police force perpetually in Germany and throughout Europe.".. Every gun that is made, every warship launched, every rocket fired signifies in the final sense a theft from those who hunger and are not fed, those who are cold and not clothed. This is a world in arms. This world in arms is not spending money alone; it is spending the sweat of its laborers, the genius of its scientists, the hopes of its children. . . . This is not a way of life at all in any true sense. Under the clouds of threatening war, it is humanity hanging from a cross of iron. Lately, Bacevich argues, Americans “have fallen prey to militarism, manifesting itself in a romanticized view of soldiers, a tendency to see military power as the truest measure of national greatness, and outsized expectations regarding the efficacy of force. To a degree without precedent in U.S. history, Americans have come to define the nation’s strength and well-being in terms of military preparedness, military action, and the fostering of (or nostalgia for) military ideals.”.. The decision at hand concerns limits, not some kind of national, existential apocalypse. Force requires bounds. Between militarism and pacifism lie diplomacy, accountability, and restraint. There's more in the five-page-long essay in The New Yorker. Those who are regular readers of this blog have probably figured out that when I raise objections to war, it is typically not on a moral basis. I have no ethical dilemna with the necessity of war, given appropriate provocation and necessity. What I object to is the economics of war. I don't believe that we can afford our current military posture. I simply do not understand why we have 55,000 troops stationed in Germany. I'm normally reluctant to post "fail" videos, but I couldn't pass this one up. 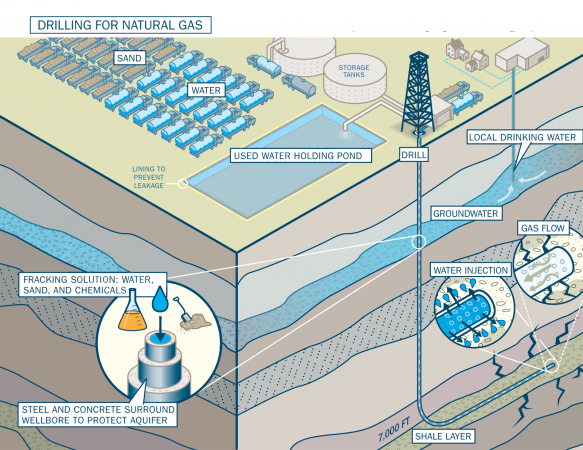 Supplies of natural gas now economically recoverable from shale in the United States could accommodate the country’s domestic demand for natural gas at current levels of consumption for more than a hundred years: an economic and strategic boon, and, at least in the near term, an important stepping-stone toward lower-carbon, greener energy. Care must be exercised to protect groundwater from spillage and to guard against potential leakage from the ponds. Moreover, the facilities to which the contaminated water is eventually transferred may be ill-prepared to deal with the challenges posed by its unusual chemical composition; for instance, conventional treatment facilities are not equipped to deal with radioactive materials—which under the circumstances could be transferred to the water bodies receiving the treated effluent. Finally, careless drilling and production from fracked wells can result in fugitive emissions of methane from the shale below. Such inadvertent releases of methane could more than offset the advantages otherwise realized by reducing emissions of CO2 through substituting natural gas for other fuels. There's much more at the Harvard Magazine link. This article is refreshingly free of the polemic that typically characterizes discussion of this technology. 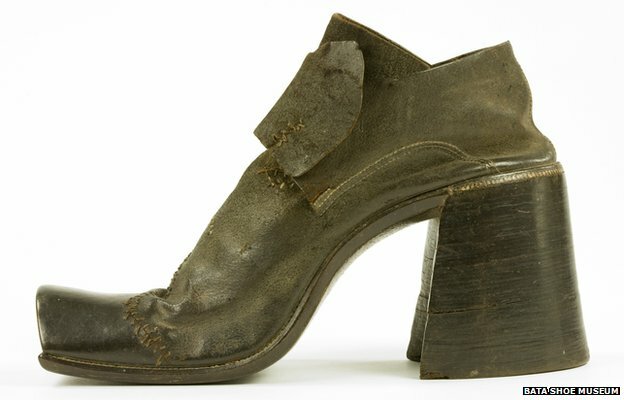 Although Europeans were first attracted to heels because the Persian connection gave them a macho air, a craze in women's fashion for adopting elements of men's dress meant their use soon spread to women and children. "In the 1630s you had women cutting their hair, adding epaulettes to their outfits," says Semmelhack. "They would smoke pipes, they would wear hats that were very masculine. And this is why women adopted the heel - it was in an effort to masculinise their outfits.".. The 1960s saw a return of low heeled cowboy boots for men and some dandies strutted their stuff in platform shoes in the 1970s. Photo from the archives of the Bata Shoe Museum. 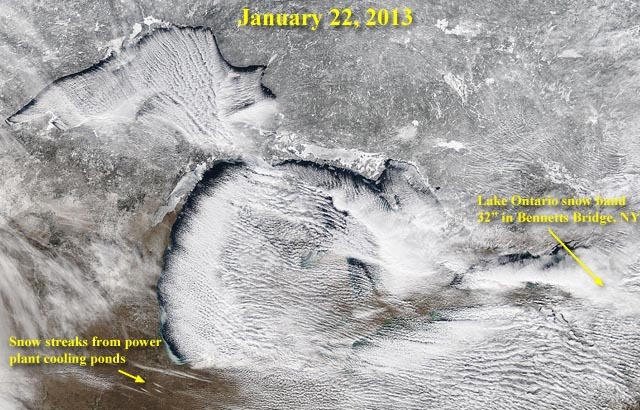 Most people who live in cold climates are aware of the phenomenon of "lake effect snow." Even so, it's sometimes startling to realize the magnitude of the effect. 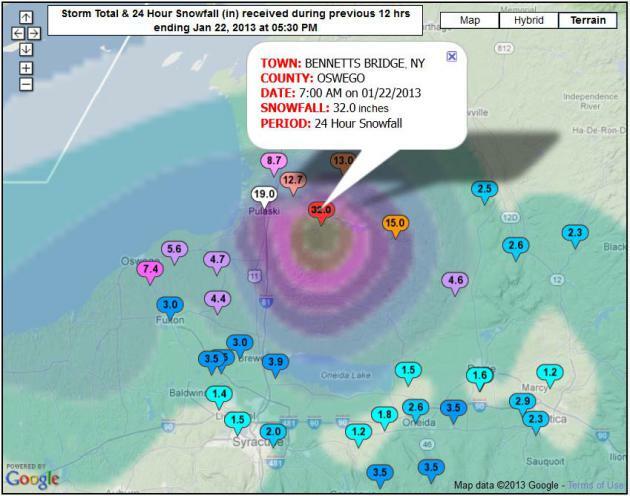 The image above, from Paul Douglas' On Weather blog, shows a recent dump of 32 inches of snow on Oswego, New York - in one day. - shows, in addition to the 32" snowfall at the far right, areas of enhanced snowfall downwind from power plant cooling ponds (lower left corner). Note the thin streaks of snow to the southwest of Lake Michigan in north central Illinois. 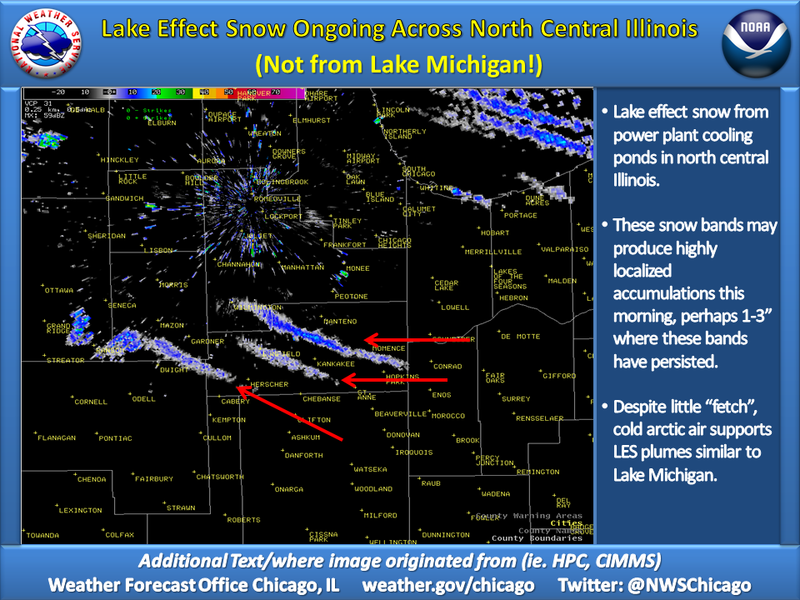 According the the National Weather Service in Chicago, these bands of snow were lake-effect induced, but not from Lake Michigan--the snow was due to cold air flowing over warm waters in power plant cooling ponds. Image credit: NASA. Continued at David Sirota's essay in Salon. This works - I tried it last night. Via Humor Train and my old favorite Tacky Raccoons. 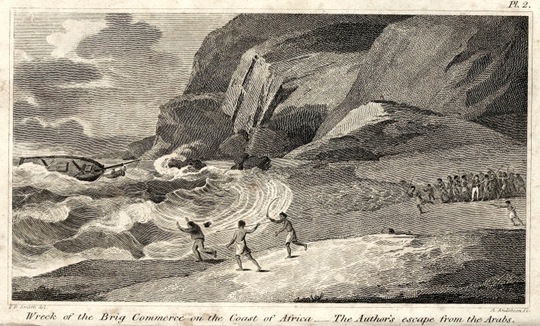 In 1817, the American sea captain, James Riley, published *An Authentic Narrative of the Loss of the American Brig “Commerce,” Wrecked on the Western Coast of Africa , in the Month of August, 1815, with an Account of the Sufferings of the Surviving Officers and Crew, who were Enslaved by the Wandering Arabs of the Great African Desert or Zahahrah*. More recently, Captain Riley’s memoire has been reprinted, though with a title that better fits modern sensibilities: *Sufferings in Africa: the Incredible True Story of a Shipwreck, Enslavement, and Survival on the Sahara* (New York: Skyhorse, 2007). 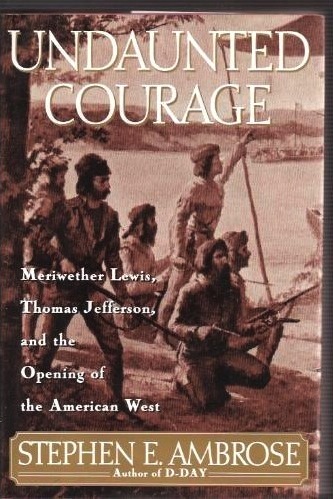 This edition, along with a fictionalized version by Dean King, called *Skeletons on the Zahara: A True Story of Survival* (New York: Back Bay Books, 2005) enjoy respectable sales for reprints of a book nearly two centuries old. Captain Riley’s story is pretty well summed up by the original title of his book. While sailing from Gibraltar to the Cape Verde Islands, Riley’s mid-sized merchant ship got lost in the fog and wrecked on the west Moroccan coast. Trapped on shore and having run out of both food and water, Riley and the surviving crew threw themselves on the mercy of some passing Berber tribesmen, who promptly enslaved and carried them off into the desert. Abused, underfed, and overworked, the captives were nearly dead when their masters sold them to an Arab trader, who bought the Americans on Riley’s promise of ransom if they returned to the coast. The rest of An Authentic Narrative recounts the survivors’ slightly less brutal journey over desert and mountains to the port city of Mogador (modern Essaouira) and their eventual freedom. More details at The Public Domain Review, which has link to full-text versions of the books being discussed. Cynical-C Blog collects one-star reviews from Amazon and assembles them in a feature called "You Can't Please Everyone." Herewith some one-star reviews of Animal Farm. 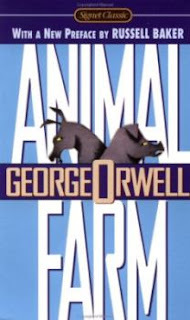 Its is so annoying to see liberals writing books in politics, and i dont care who they attack- Liberals hate everybody else. Stupid guy had to express his feelings and whine about Russia. Okay Russia was bad, but this is just annoying. I didnt learn anything new, and even if i did i probably wouldnt care. A kid who reads this is going to be shocked at what he reads, no magic, just boring old crap. That's sweetly played in tune....."
And never brought to min' ? And days o' lang syne ?" O, what a panic's in thy breastie ...."
"No, your majesty," the nurse replied. "It's......the Burns unit." 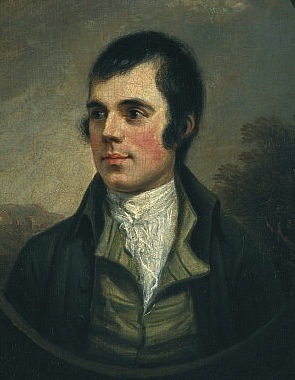 Today marks the 254th birthday of Robert Burns. 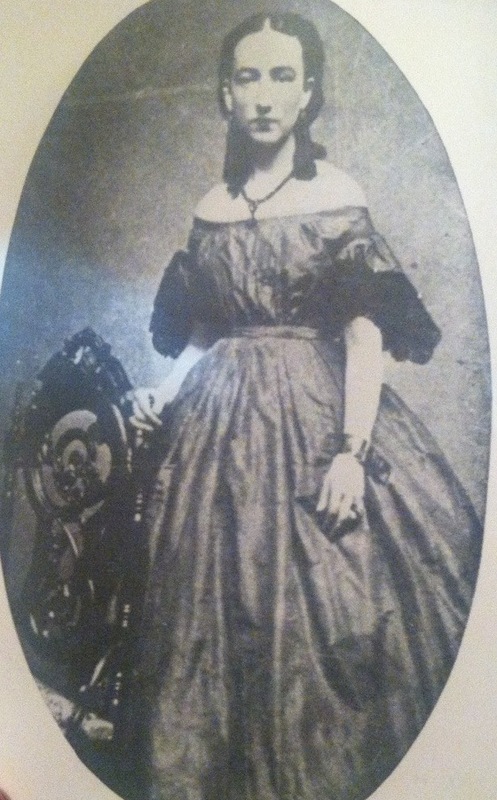 With the help of two nurses, and in the presence of members of both factions of the Wood family, Ida was moved to a pair of rooms directly below the ones she had occupied for so many years. She wept as they escorted her downstairs. “Why?” she asked. “I can take care of myself.” Her old suite was searched and inside an old shoebox they found $247,200 in cash, mostly in $1,000 and $5,000 bills. They thought that was all of it until the following day, when a nurse tunneled a hand up Ida’s dress while she slept and retrieved an oilcloth pocket holding $500,000 in $10,000 bills. Next they examined Ida’s 54 trunks, some stored in the basement of the hotel, others in an uptown warehouse. Inside lay bolts of the finest lace from Ireland, Venice and Spain; armfuls of exquisite gowns, necklaces, watches, bracelets, tiaras and other gem-encrusted pieces; several $1,000, $5,000, and $10,000 gold certificates dating back to the 1860s; a gold-headed ebony stick (a Wood family heirloom that had been a gift from President James Monroe), and an 1867 letter from Charles Dickens to Benjamin Wood. 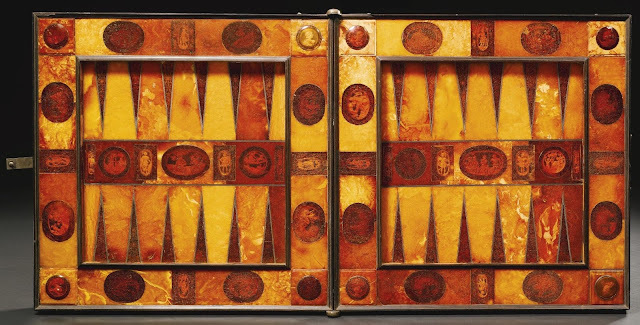 Each trunk was taken to the Harriman National Bank, where the contents were placed in vaults. 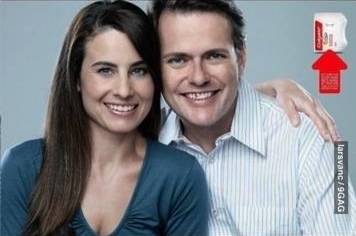 In an old box of stale crackers they discovered a diamond necklace worth $40,000. 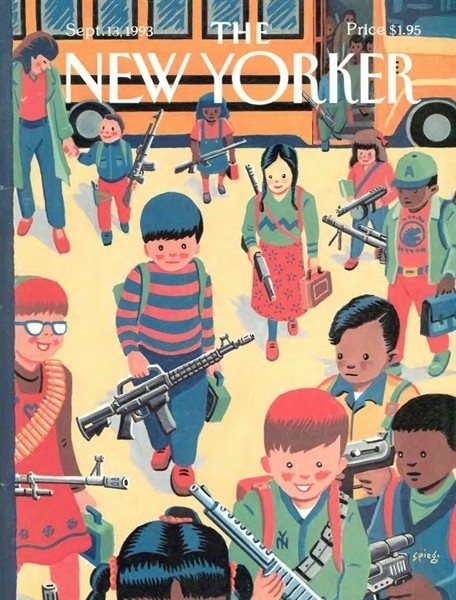 This was the cover of The New Yorker twenty years ago (September 1993). Via Stuff Smart People Like. 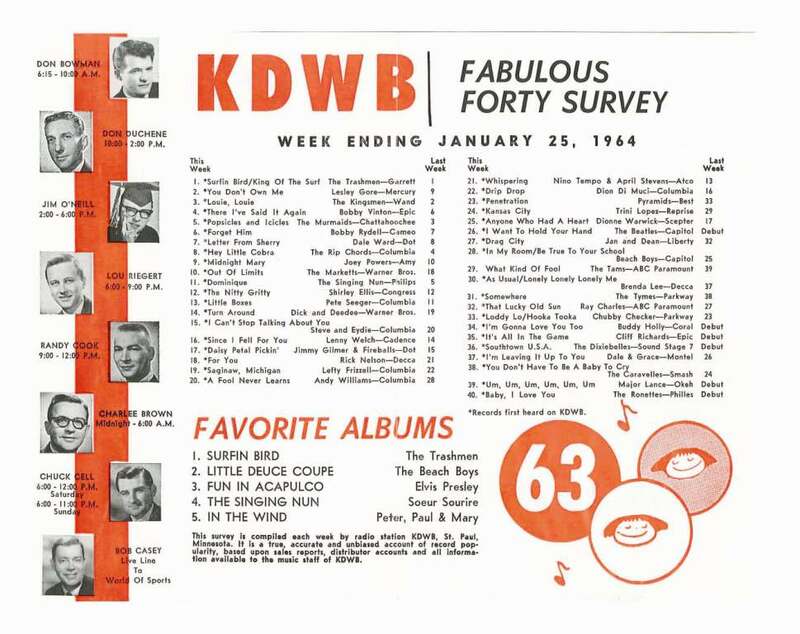 Screencap and text from The Public Domain Review. 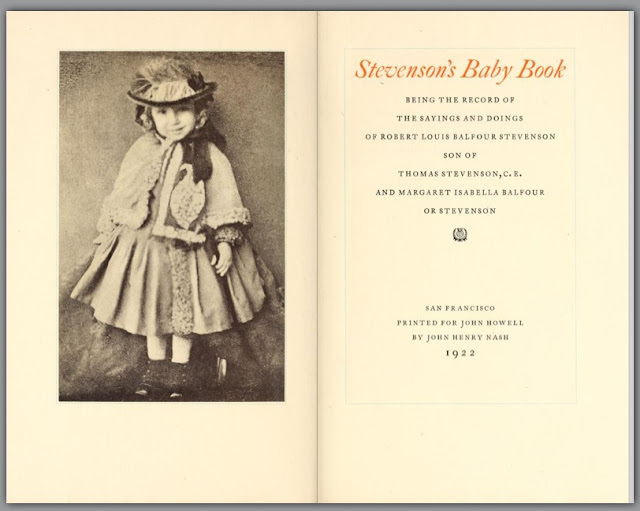 Even if you're not interested in RLS's first words, there are lots of other very interesting books stored at that link. 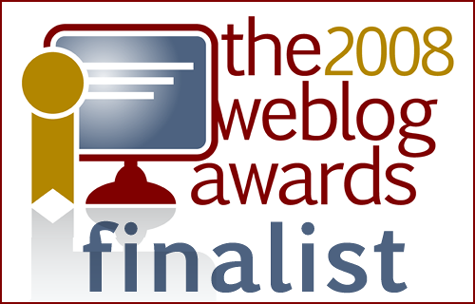 Lots of material for bloggers. My parents passed in 2010, three months apart. My dad's obit was $1,100 and my mom's $900. And this was in a small coastal New England city of about 30K. We also placed the obits online. It was free and there was a comment option. You had the choice of keeping the comments up for free for 90 days, or longer for a price. 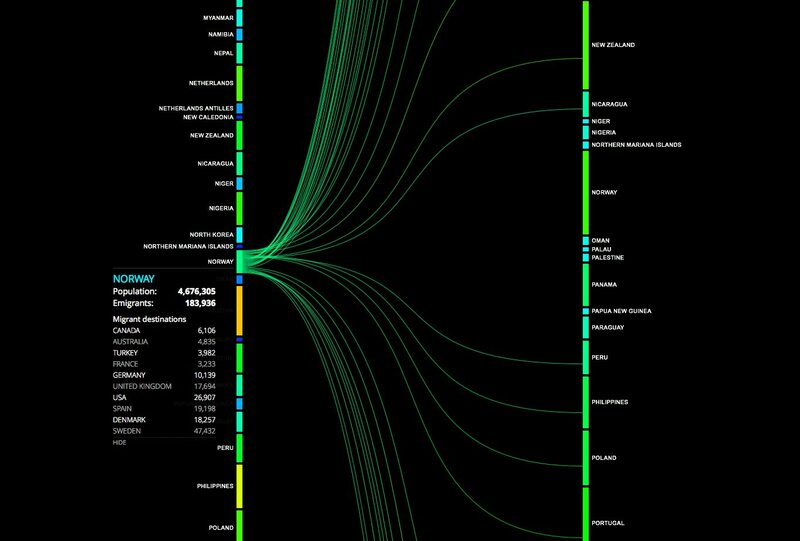 A site called peoplemovin has a massive interactive graphic presenting data on migration into and out of countries around the world. Click on your country's name in the left column, and the number and destination of emigrants is depicted. Click on the right to access the immigration data. 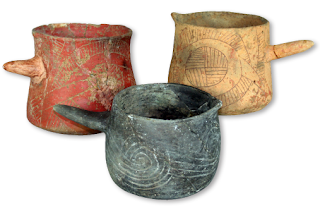 By analyzing residue left in the beaker vessels dating to as early as A.D. 1050 from which Black Drink was consumed, Crown’s team has shown that the local population of Cahokia, the largest pre-Columbian site north of Mexico, had in fact been imbibing the potent potable 500 years earlier than previously thought. Photo credit: Linda Alexander and the Illinois State Archaeological Survey. Since early December, State Farm Insurance has been offering Wisconsin residents the chance for deep discounts on their auto coverage, if they agree to let the company, in effect, ride shotgun. State Farm says the program, dubbed Drive Safe and Save, allows for a more accurate calculation of risk, by way of a small device added to a vehicle’s diagnostic port that tracks real-time driver behavior. Factors such as speed, mileage, lane changes, location, time of day and braking urgency are measured. “This is just a way for us to set better rates for customers who are good drivers,” said Missy Dundov, spokeswoman for the Bloomington, Ill.-based insurer. “This program is a chance to get discounts.”..
Erpenbach said he wasn’t surprised to see insurance companies trying to monitor people’s driving practices, but he questioned where it would all end. I have heard concern expressed that if the insurance company has access to detailed information on your driving, they might deny a claim based on data they extract. 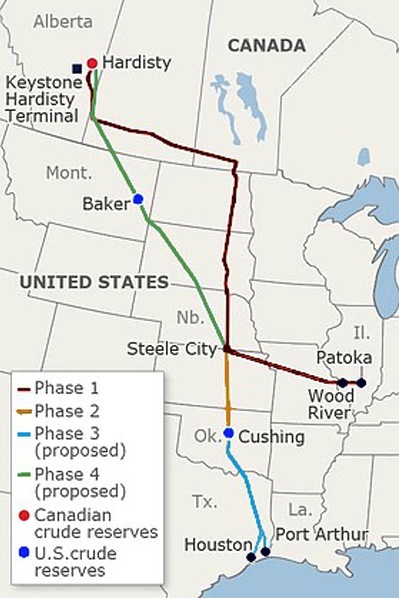 TransCanada, the company that will build the pipeline, has falsely claimed that there will be upward of 20,000 jobs. An independent study, conducted by Cornell University, determined that the pipeline would create only 2,500 to 4,650 jobs, almost all of which will be temporary, and only between 10 to 15 percent of the jobs will be local, in-state hires. As for the “we need oil” claims, few realize that much of the oil won’t be used in the United States. The oil will be pumped down to Port Arthur, Texas, where it will be refined and shipped off to foreign nations. Valero, one of these refining companies (which will get 20 percent of the Keystone XL oil), will not have to pay taxes on the exported oil since Port Arthur is in a Foreign Trade Zone. The Port Arthur refinery operates as a Foreign Trade Zone (FTZ), which traditionally gives tax benefits to companies that use imported components to manufacture items within the United States. Usually refineries importing oil tax-free will still pay taxes when selling the refined products into the U.S. market. By both importing into and exporting from Port Arthur the company will avoid paying tax on the product sales. A pretty sweet deal for Valero Energy Corporation (VLO). When they reached about 2,000 feet, Monsiuer de Pique fired his blunderbuss (a muzzle-loading firearm with a short barrel). Sadly, (at least for de Pique and his unfortunate second), de Pique missed. Monsiuer De Grandpre then took aim and fired. His bullet ripped through the fragile skin of de Pique's balloon, causing it to collapse. The basket tipped and de Pique and his second fell headfirst to their deaths. Text from Titillating Tidbits About the Life and Times of Marie Antoinette. The image, via Wikipedia, is unrelated to the duel, but is of a contemporaneous balloon. This event almost certainly occurred in GAS balloons, not hot air. In the early 1800s nearly all sport balloons relied on hydrogen or some other gas to provide lift. 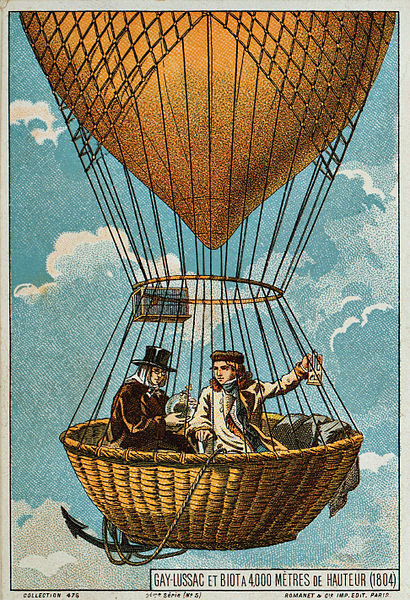 Yes, the very earliest balloon flights were in hot air balloons but within months after those first flights gas supplanted hot air as a much more practical lighter than air lift source. Hot air did not come back into fashion until the 1950s and 60s when modern lightweight synthetic fabrics and propane heaters made our current hot air balloons possible. I have frequently read reports of 19th century balloons described as "hot air," when "gas" would have been the correct term. I also wonder whether the first duellist aimed at his opponent, while the second one aimed (?intentionally) at his opponent's balloon. 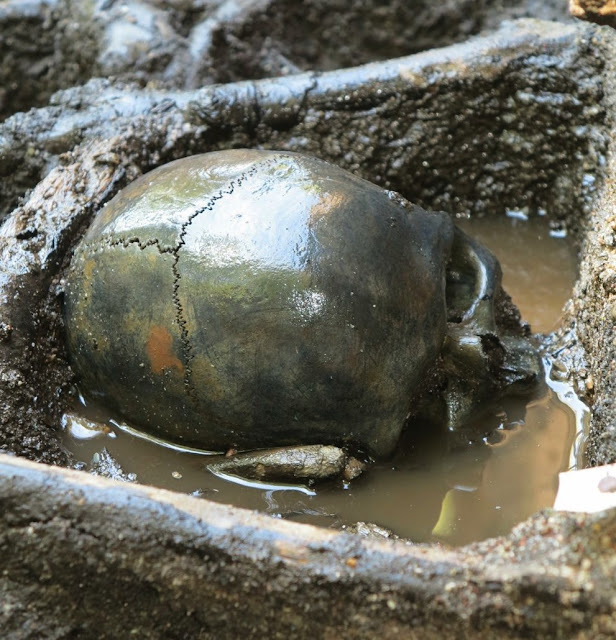 Archaeologists have spent all summer excavating a small sample of what has turned out to be a mass grave containing skeletal remains from more than 1,000 warriors, who were killed in battle some 2,000 years ago... The site is located in the Alken Enge wetlands near Lake Mossø on the Jutland peninsula. “The bones are completely fresh,” he says. “Some DNA has been preserved, so we can get a good profile of what Iron Age man looked like. An anthropological analysis of the bones will provide us with a picture of their diet and their physical appearance.” .. 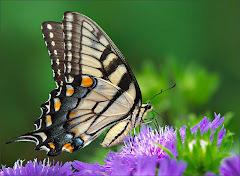 Image cropped from the original in a gallery of 13 photographs at the source article. "If you spin a hard-boiled egg in a pool of milk, the milk will wick up the sides of the egg and spray off at the egg's equator. Engineer Tadd Truscott, of Brigham Young University, along with Ken Langley and others, launched an investigation to figure out why this happens -- complete with a custom-built spinning apparatus, billiard balls and high speed video cameras." An NPR SciFri video, via Oregon Expat. This one is real - not Photoshopped - as explained by the craftsman's son in a discussion thread at Reddit. 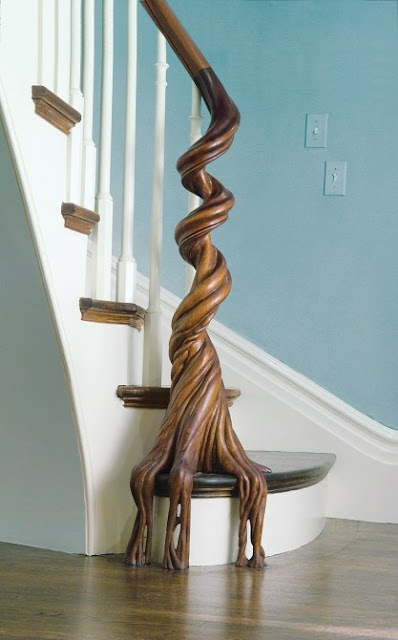 It was featured in a JLC magazine article in 2005; the post is hand-carved from mahogany and modeled after a tropical strangler fig tree. 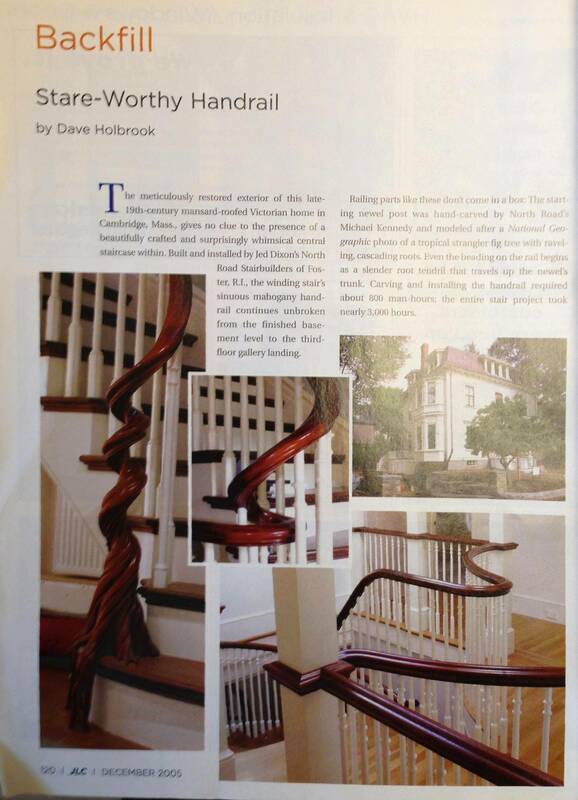 Carving and installing the handrail required 800 man-hours. From the weekly collection at The New Yorker. The new Mars Express images show a region of Reull Vallis at a point where the channel is almost 7 km wide and 300 m deep. 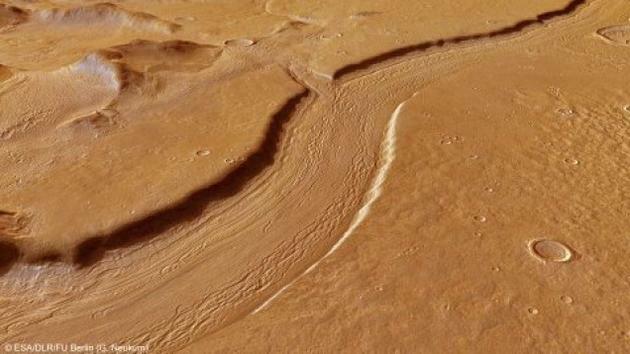 The sides of Reull Vallis are particularly sharp and steep, with parallel longitudinal features covering the floor of the channel itself. These structures are believed to be caused by the passage of loose debris and ice during the “Amazonian” period – which continues to this day – due to glacial flow along the channel. The structures were formed long after it was originally carved by liquid water during the Hesperian period, which is believed to have ended between 3.5 billion and 1.8 billion years ago. Image and text via The Hindu Business Line. im doing it right now and this is the second night now so tomoz im going to complain and get a cast YAY!!! I certainly don't understand; it doesn't appear to be a self-harm trend in the usual sense - more of an attention-getting device. Among the more salient comments in the Reddit thread is this one: "Oh god. I'm never letting my kids ever meet any other kids." There is also a site called "How To Break Your Bones!" Addendum: Reposted from 2010 because this post keeps getting comments, all of which seem to be from preteens or teenagers. They are obviously not regular readers of the blog; they find the post because it shows up on the first page of a Google search for how to break your wrist. What should I do about this? I don't have children of this age and can't get myself into the mindset of a juvenile having problems in school and wanting to break his/her wrist. I have deleted some comments that I thought were too "instructional" or supportive. I'd appreciate some adult comments added to the thread, especially from anyone familiar with this phenomenon or knowledgeable re the psychology and sociology of these young people. Reposted again to bring TYWKIWDBI readers up to date on some of the comments, including a rather sad one last night. And btw, this post comes up on the front page of a Google search for "how to break your wrist," so keep in mind that any comment you offer may be read by untold numbers of young people. Recently used in Syria, previously used by the British and Germans in WWII, and by the United States in Vietnam, Iraq, and Afghanistan. 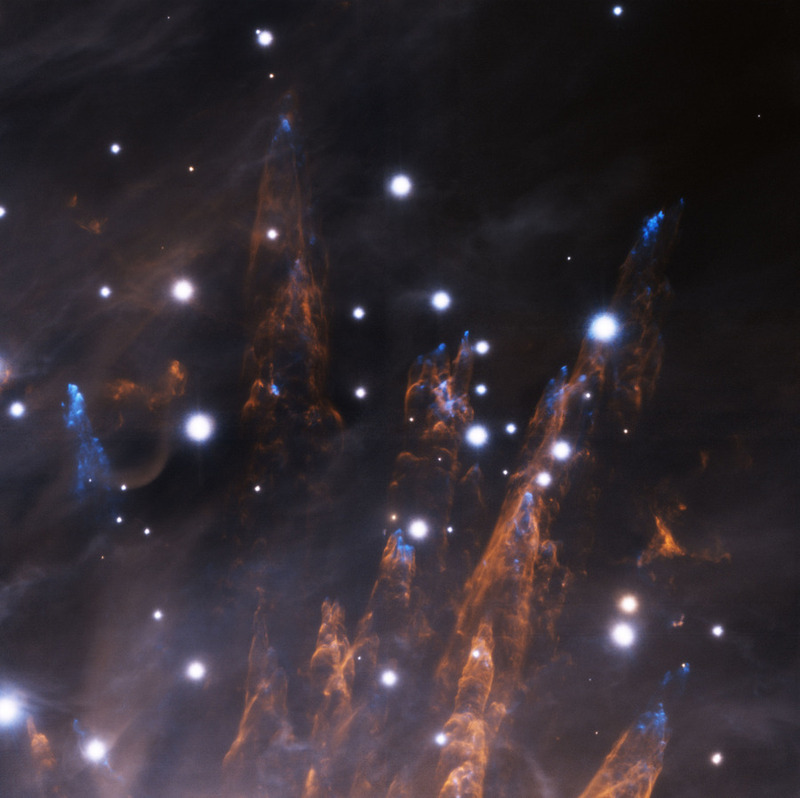 Cosmic bullets pierce the outskirts of the Orion Nebula some 1500 light-years distant in this sharp infrared close-up. Blasted out by energetic massive star formation the bullets, relatively dense, hot gas clouds about ten times the size of Pluto's orbit, are blue in the false color image. Glowing with the light of ionized iron atoms they travel at speeds of hundreds of kilometers per second, their passage traced by yellowish trails of the nebula's shock-heated hydrogen gas. The cone-shaped wakes are up to a fifth of a light-year long. The human mind is just not configured to comprehend scales of magnitude like this. At least not mine. 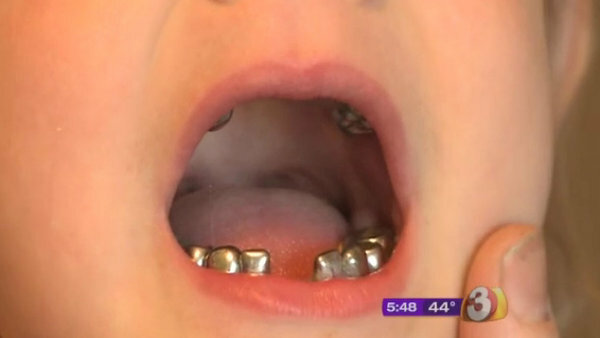 On a recent trip to the dentist, [Alecia] White discovered that little Savannah had four cavities. 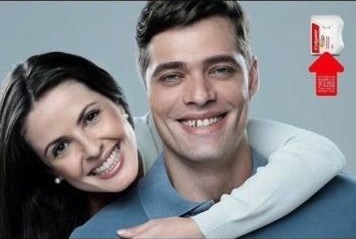 So, White allowed the dentist to fill them. Text and image from AZFamily, where the comment thread is long (and vehement). "... a transgender young woman documents her transition from male-to-female in 1,000 time-lapsed photos taken over a three-year period." In the YouTube comments, the subject notes having had FFS (facial feminization surgery) during this time period. I wish the position of the face relative to the camera (and the camera to the room) had been standardized during the process, but it's still fascinating. Via This Week and Miss Cellania. No backboned animal has been found that can harness the sun – until now. 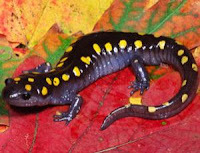 It has long been suspected, and now there is hard evidence: the spotted salamander is solar-powered. Then in 2011 the story gained an additional twist. A close examination of the eggs revealed that some of the algae were living within the embryos themselves, and in some cases were actually inside embryonic cells. That suggested the embryos weren't just taking oxygen from the algae: they might be taking glucose too. In other words, the algae were acting as internal power stations, generating fuel for the salamanders. To find out if that was happening, Erin Graham of Temple University in Philadelphia, Pennsylvania and colleagues incubated salamander eggs in water containing radioactive carbon-14. Algae take up the isotope in the form of carbon dioxide, producing radioactive glucose. Graham found that the embryos became mildly radioactive – unless kept in the dark. That showed that the embryos could only take in the carbon-14 via photosynthesis in the algae. More at the link, including a hypothesis that the same process may occur in other species. This gives me a better appreciation for the little salamanders that used to fall down our window well and basement stairs when I was a kid. 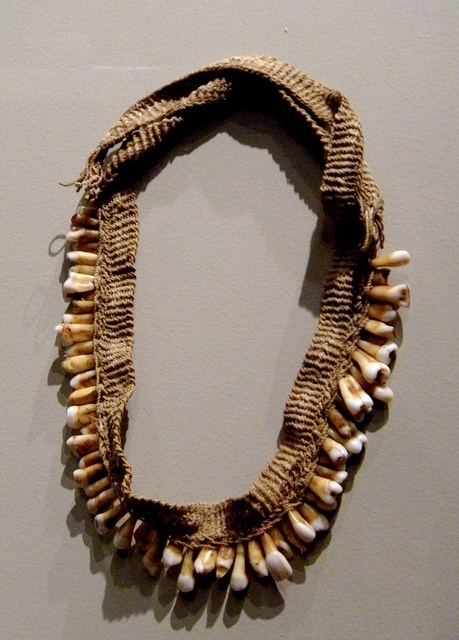 Janet Stephens, the Baltimore hairdresser and amateur archaeologist who unraveled the secrets of the Vestals' trademark braids... reported her findings Friday (Jan. 4) at the annual meeting of the Archaeological Institute of America in Seattle. 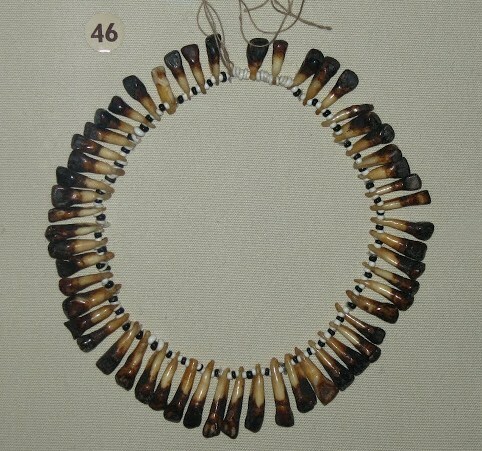 The Vestal hairstyle requires about waist-length hair to pull off, Stephens said. A nugget weighing 177 ounces (5.5 kilograms). Story here (and many other places). First, look at the data in the cartoon above, published several weeks ago in the Wall Street Journal. The numbers can be assumed to be correct. Think about and decide where your sympathies lie. 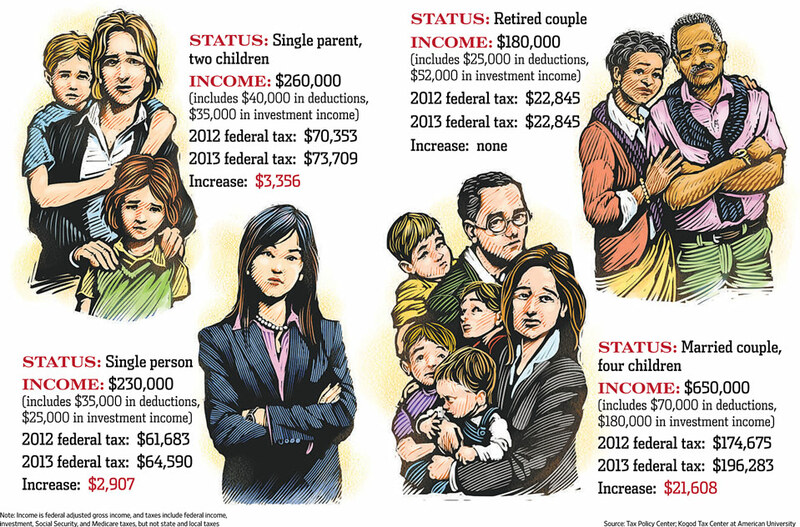 The Wall Street Journal article notes that "the new law's effects will be highly individualized—and in some cases highly painful." 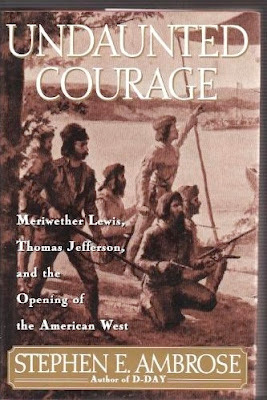 Some final excerpts from Stephen E. Ambrose's Undaunted Courage: Meriwether Lewis, Thomas Jefferson, and the Opening of the American West. For a small study (such as Sacks’ and Leng’s early work in the top two rows of the table) to get published, it needs to show a big effect — no one is interested in a small study that found nothing. 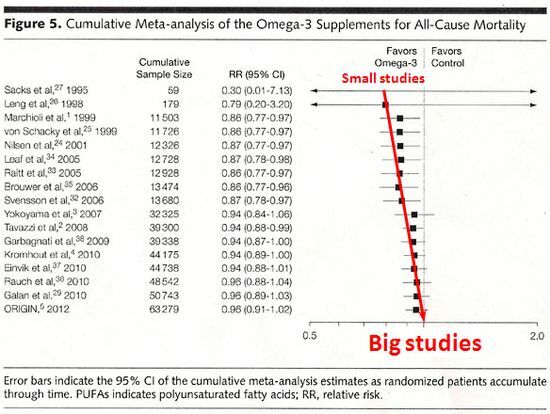 It is likely that many other small studies of fish oil pills were conducted at the same time of Sacks’ and Leng’s, found no benefit and were therefore not published. But by the play of chance, it was only a matter of time before a small study found what looked like a big enough effect to warrant publication in a journal editor’s eyes. At that point in the scientific discovery process, people start to believe the finding, and null effects thus become publishable because they overturn "what we know". And the new studies are larger, because now the area seems promising and big research grants become attainable for researchers. Much of the time, these larger and hence more reliable studies cut the "miracle cure" down to size. The take-home point here is not about fish oils, but about any report that product XYZ is good for (or bad for) your health or well-being. The mainstream media (and the 'net) is full of such stuff. It's also important to ascertain who funded a given study. 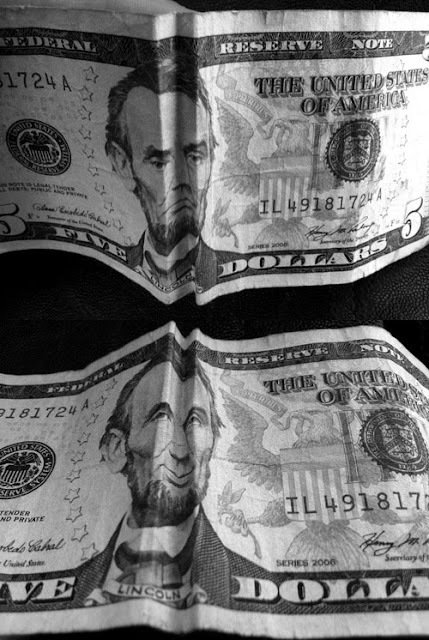 If the National Association of WidgetMakers funds seven studies, six may be inconclusive or negative, and the seventh may show a benefit, and only the last will get publicized. 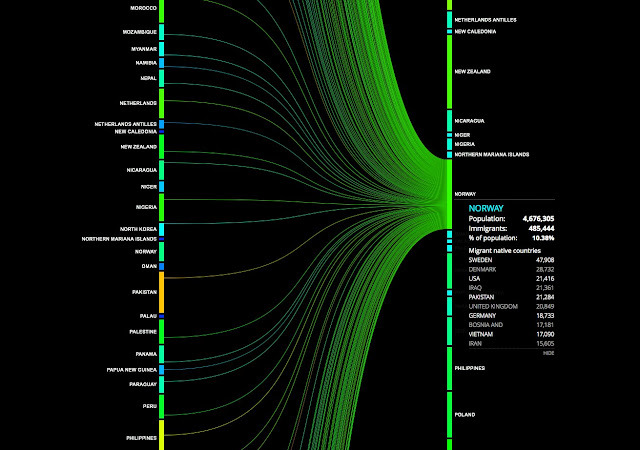 Graph and text via The Dish.